"The Cantina Bartolo Mascarello is one of the legendary and historic producers of the Barolo appellation. The winery has stood as a beacon of staunch Barolo traditionalism since its official inception in 1918. The roots of the estate in fact go back further, to the 19th century when the Mascarello family produced grapes which they sold to large wine producing houses in the nearby township of Bra. At around the turn of the century, though, a dozen or so producers including Bartolomeo Mascarello – Bartolo's grandfather - established a much smaller entity, called the 'Barolo Co-operative Winery', and Bartolomeo became the cellar master there. Eventually, the Co-Operative closed, and Bartolo's father, Giulio, just back from fighting in World War I, decided to take the plunge and produce some wine under his own label, a true rarity for that era. Although some of the wine was sold as actual bottles, much of the production was also sold in demi-johns to restaurants and other consumers who undertook the bottling of the wine on their own. Over time, the estate acquired small parcels of choice vineyards in the communes of Barolo and La Morra. The winery was later transitioned to Giulio's son, Bartolo, in the 1960's where they worked in tandem until Giulio's death in 1981. Over that period, the winery began to gain more prominence. When Bartolo died in 2005, the baton was passed then to his only child, Maria Teresa. For many Barolo collectors, the Cantina Bartolo Mascarello has a special place in their hearts because of its fully independent spirit and unwavering dedication to the traditions and practices of a bygone era in Barolo. When Barolo producers began producing 'Single-Cru' wines in the 60's and 70's, Bartolo refused to follow suit claiming staunchly that his blended wine, made from their four vineyards in Barolo and La Morra, made a better wine combined than as single-vineyard expressions. To this day, this same philosophy and practice remains firmly in place. And when Barrique-aged Barolo became popular in the late 80's and 90's, Bartolo was quick to decry his opposition (as well as to Italy's extremely popular though corrupt leader, Silvio Berlusconi) by designing a now infamous hand-written label with the words, "No Barrique, No Berlusconi" emblazoned across the front. These labels, as well as others that Bartolo had designed, were often randomly slipped into cases with their regular labeled bottles, much like the golden tickets in Willy Wonka, and are prized possessions for the die-hard Bartolo fan! Other traditions continue as well at this venerable estate. Much of the wine is still sold to private clients who make the pilgrimage each year to taste and pick up their yearly allotment, just as it was done in the 50's and 60's. Meanwhile, worldwide demand has greatly outstripped supply at this rather small 5 ha property, and each bottle is doled out carefully. But rather than go out and acquire land to ramp up production, the Mascarellos have always resisted, preferring to keep the winery at a "human scale". In the cellar, all wines are fermented in old concrete tanks, with a simple yet rudimentary system of temperature control. The Barolo is kept on its skins for 30-50 days, depending on the vintage. Pump-overs are used early in the fermentation, followed by prolonged Capello Sommerso, or submerged cap maceration. The wine is then pressed in an old-school basket press before a long aging in large untoasted Slavonian oak botti (2 ½-3 years). The Barolo is bottled three years after the September harvest and then held for a year before release. As for the wines, they are spectacular and singular expressions of Traditional Nebbiolo. Classic in all senses, structurally, aromatically, and of course, in their long ageability. 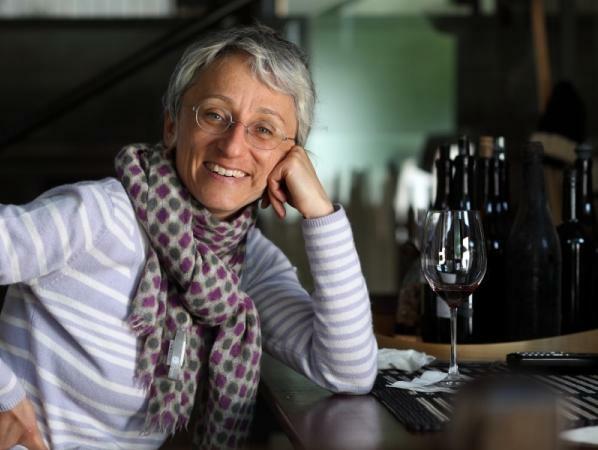 In recent years, under the meticulous hand of Maria Teresa, some say the wines have gained another level of finesse and balance. Though when asked about this, she is quick to say that absolutely nothing has changed from the era of her father! In any case, these wines are most certainly worth the search, and are "must haves" in the cellar of any Piedmont lover."